About five weeks ago, my husband and I decided to take our family to the next level and added one more to our little clan. I’ve been begging him for months to let me get, what I think is probably one of the funniest animals out there. So, we did it. We brought home this adorable ball of fluff and, since my husband is an avid gearhead, we decided to name him Axle. This kitten is so funny and athletic. The other day we were watching a movie and a fly was bothering us like crazy. Axle comes along, does a backflip in the air, doesn’t realize how close he is to the wall and jumps right into it. We got a good laugh and Axle ended up catching the fly for a nice after dinner snack. He is definitely the funniest animal I have ever had. As you can see, he has a strange obsession with shoes. We find him doing head dives into our shoes every day of the week. 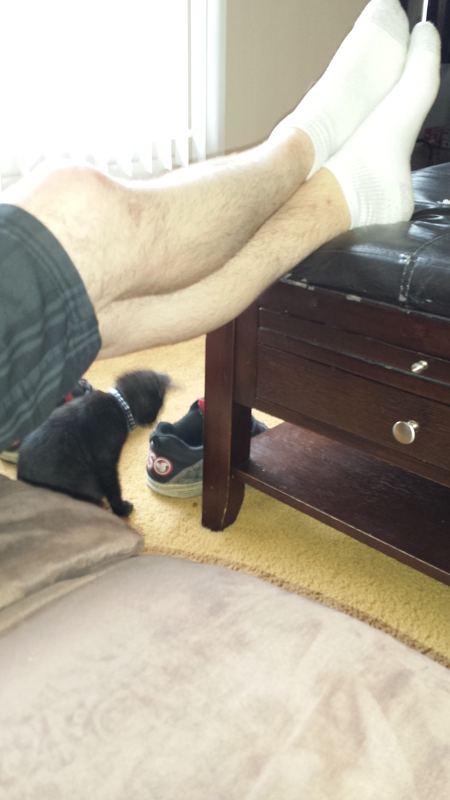 He’s even brave enough to stick his head in my husband’s shoes right after he takes them off. I don’t know about you, but I’d be in a coma for a month after smelling that. 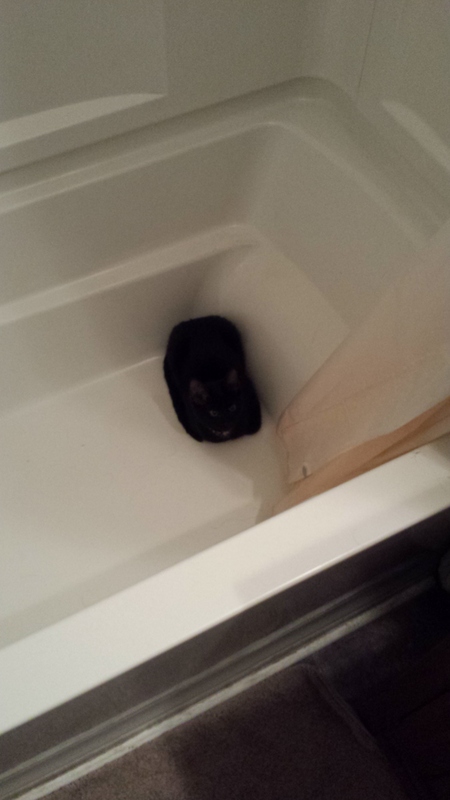 Axle also has this weird thing about being in the bathtub or in any of the sinks in the house. I don’t know if it’s just a cat thing, but I see little wet paw prints all over the floor and the counters. It is super cute and it only makes us love him even more. Although, he isn’t the happiest little guy when you turn the faucet on. 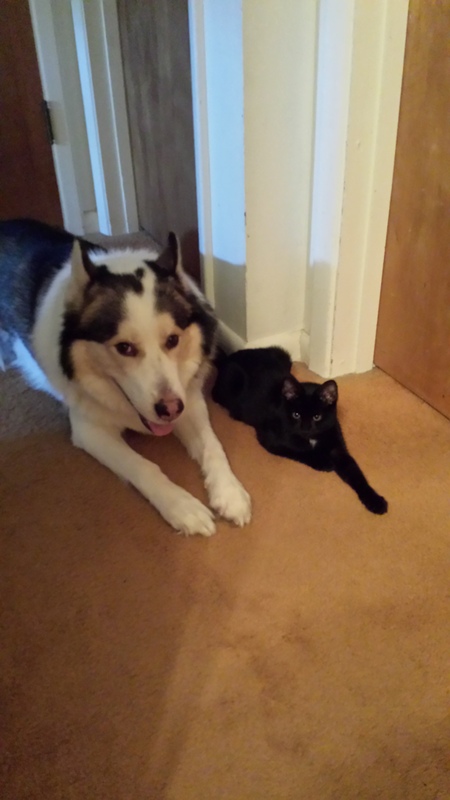 The most important feature about our new addition, is that he and our 8 year old husky/wolf mix have become best friends. They sleep together, they drink from the same water bowl together, and they sometimes play together. It’s more Axle jumps all over Baer and the dog just lays there like “why did you bring this demon home to torture me.” But, they love each other and we couldn’t be happier with the results of getting this little guy.